Sheena Kamal holds an HBA in political science from the University of Toronto, and was awarded a TD Canada Trust scholarship for community leadership and activism around the issue of homelessness. 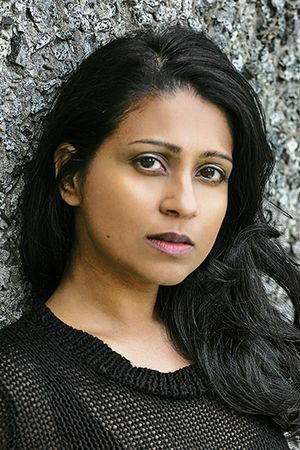 Kamal has also worked as a crime and investigative journalism researcher for the film and television industry—academic knowledge and experience that inspired this debut novel. She lives in Vancouver, Canada. 1. Nora Watts is a survivor of violence who is trying to find a missing girl with whom she shares an irrevocable bond. How much of her tortured background informs her character as an adult? How does her own past impact her search? 2. How does Nora’s past affect her relationships today, especially with men? 3. Were you surprised by the real reason behind Bonnie’s disappearance and the connection to Nora’s attack fifteen years earlier? 4. When Brazuca suggests that Nora is really attracted to him and that they sleep together, she is taken aback. Do you think there is an attraction there, or does she see him more as her sponsor and protector? 5. Reporter Mike Starling discovers Nora after she is left for dead. Do you think his concern for Nora is genuine, or is he out for a “good story”? 6. What role does Whisper play in Nora’s life? What about Seb and Leo? 7. Is Nora’s sister, Lorelei, justified in her treatment of Nora? If she knew Nora was the “Mary” from Starling’s article, why didn’t Lorelei seek her out? 8. Why do you think Nora’s military career was short-lived? Do you think she suffers from PTSD? 9. “Vancouver. Some people say it’s beautiful here, but they’ve never idled in the spaces that I call home. They’ve never been down to Hastings Street, filled with its needles and junkies. They’ve never considered the gray sky and the gray water for months on end as rain pours down in an unsuccessful attempt at cleansing.” How did the setting of Vancouver add to the atmosphere of the story? 10. When contemplating the mining of resources on the island, Nora comments, “People take more than they give; that’s just the nature of the human beast.” Do you agree? 11. Were you surprised that we never really got to see a reunion between Nora and Bonnie? 12. Author Sheena Kamal addresses an almost unknown segment of the population: “There’s a whole highway in the north of the province stained by the tears of indigenous girls and women who weren’t blond enough to matter, whose families are still looking for justice. . . . It is more like a cancer that has spread through every segment of Canada’s social and political systems.” Were you aware of this issue before reading the novel, and do you think the title is a nod to this problem? 13. The story takes place largely in Vancouver, BC, and Kamal touches on the issues of immigration there. Are there any similarities to the issues ongoing in the US? 14. What did you think of Kamal’s work as compared to other writers in the psychological thriller genre? Are there any comparisons? 15. Kamal has worked as a crime and investigative journalist researcher for film and TV. Would you see this book working as a movie or limited television series? 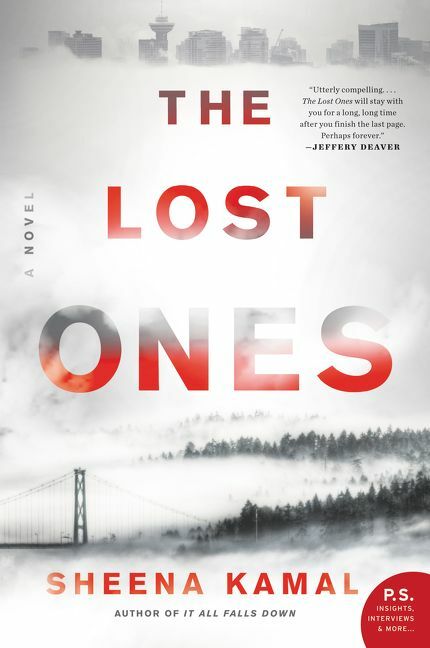 Which actors and actresses would you cast in a filmed adaptation of The Lost Ones?